At KidTripster, the vast majority (excluding our KidTripster Teens) of our writers are professionally-trained journalists. Choosing to use the work of actual journalists is very intentional. We pride ourselves on accurate and honest reporting. We provide the kind of authentic content that we, ourselves as parents, would want to read. We offer that content to you, free of charge. KidTripster does accept advertising, but that advertising in no way impacts our content. We make it clear to our advertisers that we do not engage in promised positive editorials or reviews in exchange for advertising. Period. Like many other travel media outlets, we do accept complimentary or reduced-rate travel and hospitality from travel providers on case-by-case basis. We do this in order to provide you, our readers, with the widest variety of content possible. However, such complimentary travel has no bearing on our editorial voice. Our reviews of particular attractions, hotels, and restaurants are conducted in an unbiased manner; no promises are made to any travel providers concerning positive editorial content. When our budget allows, we pay for our own travel expenses. Finally, we have affiliate partners - Amazon, AirTreks, and Tripbound - whereby we earn a small commission when you decide to make a purchase via the links that you find on this website. 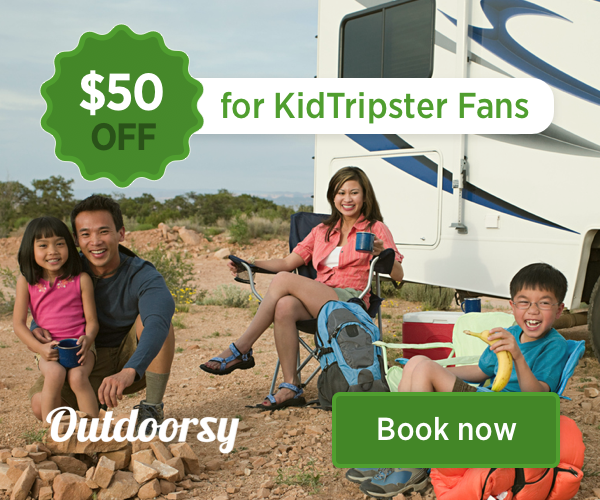 Purchasing via KidTripster in no way increases the price to you. It’s our way of making some coffee money and keeping the staff caffeinated.